If you go to Apple’s iPod section today, you might notice something’s missing. Apple removed the Nano and Shuffle models from the store, and officially confirmed the littlest iPods are being discontinued. Today, we are simplifying our iPod lineup with two models of iPod touch now with double the capacity starting at just $199 and we are discontinuing the iPod shuffle and iPod nano. This marks the death of the last two iPods that didn’t have internet connectivity or cell service. Now the only iPod that remains on the site is the iPhone-sized iPod Touch — specifically the two with the largest capacity. It feels like an ignominious end for the iPod — which would go on to form the basis of Apple’s bajillion-and-one other devices, the iPhone included. Still, it’s not entirely unexpected given the company’s history with the device. 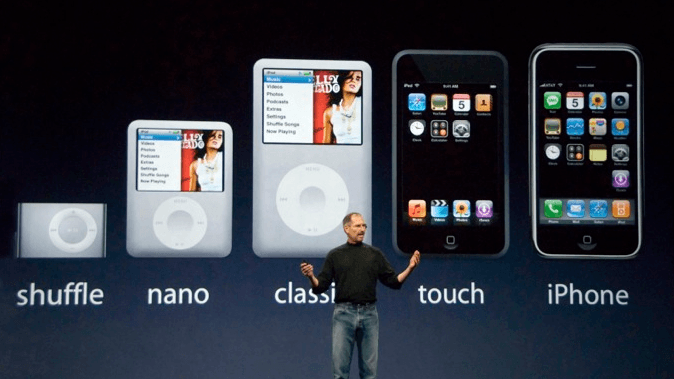 Apple discontinued its original iPod classic in 2014, with Tim Cook saying that parts were hard to come by and demand was waning in the age of music-playing smartphones. Rest in Peace, tiny iPods.